and had until his 37th birthday – 23. February. 2018, to wear his badge due to a regulation that a new agent must be appointed before they reach the age of 37 years. During the first year of retirement, Tillman worked on the “Fox NFL Kickoff” a Fox Sports show, and finally decided to do away with a post-football television career for law enforcement. Tillman academically earned a bachelor’s degree in criminal justice from the University of Louisiana-Lafayette. 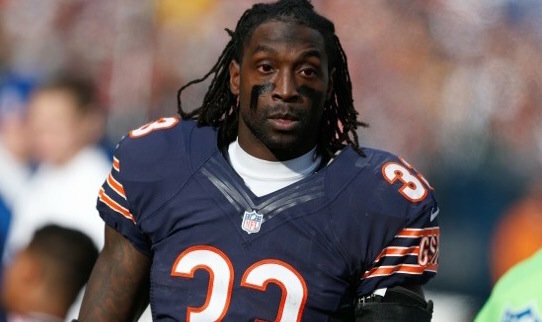 He has also been recognized for charity works through the Charles Tillman Cornerstone Foundation, which helps to improve the lives of children in the Chicago surroundings. These works of Tillman have not gone unrecognized as in 2012, he won the NFL’s Salute to Service Award and in 2013 was recognized as the Walter Payton Man of the Year. Herschel Walker a Pro Footballer running back who’s interest in taking FBI classes was known. Shaquille O’Neal, Basketball Hall of Fame center is a deputy marshal in Louisiana, a reserve police officer in Florida and a sheriff’s deputy in Georgia. Daryn Colledge, former NFL guard is enlisted in the Army National Guard. Pat Tillman after 11 September 2001, left the Arizona Cardinals and got listed in the Army Rangers. Tillman having spent 12 of his 13 seasons with the Chicago Bears, made US$ 51 million in his career. In Bears history, he received the largest contract paid to a cornerback when he signed a six-year, US$ 40.55 million extension in 2007. After the deal concluded in 2013, Tillman re-signed for US$ 3.25 million in 2014 before his final season with the Panthers, when he signed a one-year deal of US $ 3.05 million and reunited with coach Ron Rivera. Tillman caught 36 interceptions and was instrumental in leading his team to its only Super Bowl appearance in the past 30 years.